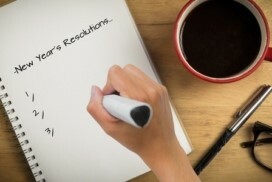 What’s the best weight loss resolution to help you get healthier in 2017? Instead of making the usual vague promises to yourself to lose weight, eat healthy food, and get to the gym more often, commit to a single easy-to-monitor change. Make a commitment to cooking more and eating out less. Restaurant meals are calorie bombs. Try googling the number of calories in what you thought was a relatively healthy restaurant entree and you’ll be shocked. This one simple change, resolving to cook more of your meals at home, can be the best weight loss program you’ve ever tried. Not only that, it will save you money! In addition to losing weight, you’ll enjoy other benefits from eating in. You may find that cooking is relaxing and fun. You may acquire a new skill. You may have bonding time with your spouse, son or daughter. You may find that eating a home cooked meal makes socializing more fun. 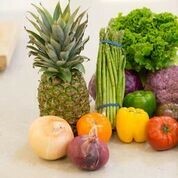 If you cook at home you’ll eat more healthy food and less packaged, processed foods. According to a study recently published in the Public Health Nutrition Journal, people who cooked meals at home at least six days a week consumed fewer calories than those who frequently ate out. We really have no idea what's actually in that restaurant meal we're eating. But, take my word for it, every dish is loaded with shortening, usually butter, and an excessive amount of salt for added flavor. When we cook for ourselves, we eliminate the guesswork. We have control over what we put in our meals and we often make healthier choices than are made by restaurant chefs. Their main goal is to put a lot of tempting food on your plate so you will come back. Our goal is to eat healthy meals and control the portions. Most of us do other activities while we eat. We’ve convinced ourselves that we’re too busy to stop multi-tasking. We play on our phones, we watch television or Netflix, or we read while we’re eating. Eating mindfully means we pay attention only to eating the food we have prepared. We savor every bite, put our fork down from time to time, and chew our food enough to help digestion. The result of mindful eating is that we enjoy the food more and we stop eating before we’re full instead of stuffing ourselves and feeling terrible later. Cooking is not a difficult skill to acquire. In fact, it’s easier than you may think. Don’t be intimidated by the celebrity chefs you see on the Food Network. Start with something easy that only has a few ingredients. Buy a beginners cookbook. Download some 5-ingredient recipes from your favorite website. Ask a friend who cooks to show you some dishes. Click here for full article on why cooking is the best weight loss program. Can a healthy eating meal plan include pancakes? It can, but probably not if you go to IHOP. Even a healthy sounding option like “Harvest Grain ‘N Nut Pancakes” will set you back almost 1,000 calories and that’s before you add the butter, “fruit” topping, syrup and whipped cream. Not the best way to start the day. But, there’s no need to ban pancakes from your healthy eating meal plan. 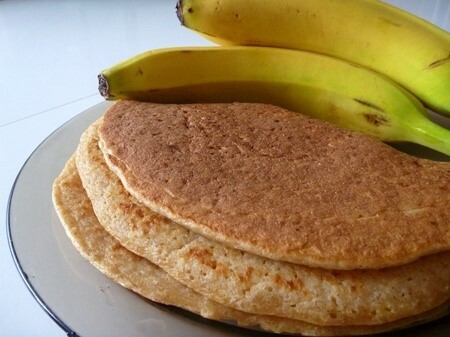 You can make healthy pancakes with just two simple ingredients. If you have a gluten sensitivity you’ll love this recipe. All you need are two eggs and a banana. Really. Several members of my Facebook Group, OC Healthy Lifestyle, swear by this recipe. Eggs are a very healthy way to start the day. They’ll provide you with enough healthy protein to keep you feeling full until lunchtime and the banana will provide you with necessary vitamins and minerals including potassium, magnesium, and Vitamins B-6 and C. Feel free to add some spices or your favorite berries. 1. Mash banana in a bowl and whisk in eggs. 2. Spray preheated pan with Pam and ladle mixture into the pan. 3. Heat for about 20-30 seconds on each side. Click here for full recipe, including nutritional information. Why Not Make 2017 Your Year to Get Healthier? Ready to lose weight for good? Sign-up for one of my customized programs and get the accountability you need to lose weight. I’ll give you as much support as you can stand and tailor it to your individual needs. Ready to lose weight for good? Sign-up for one of my customized programs and get the accountability you need to lose weight. Copyright © 2017 Lorie Eber Wellness Coaching, All rights reserved. 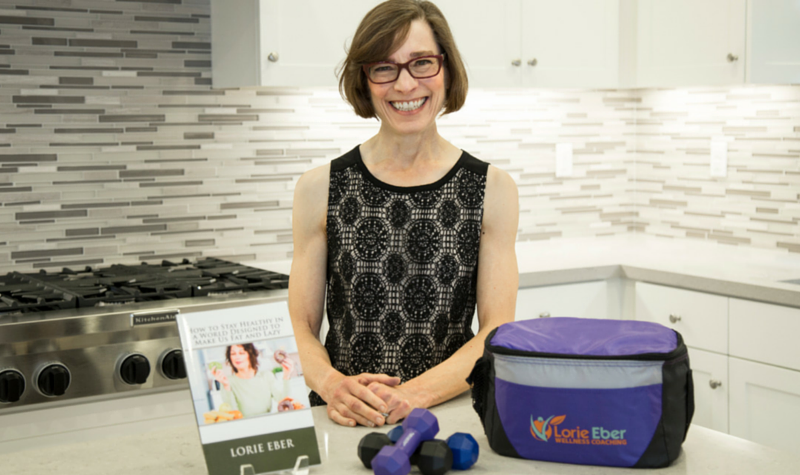 Lorie Eber Wellness Coaching is on Yelp!